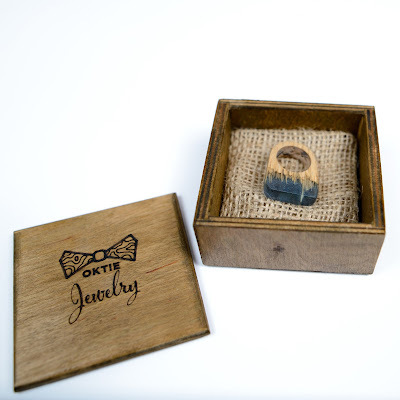 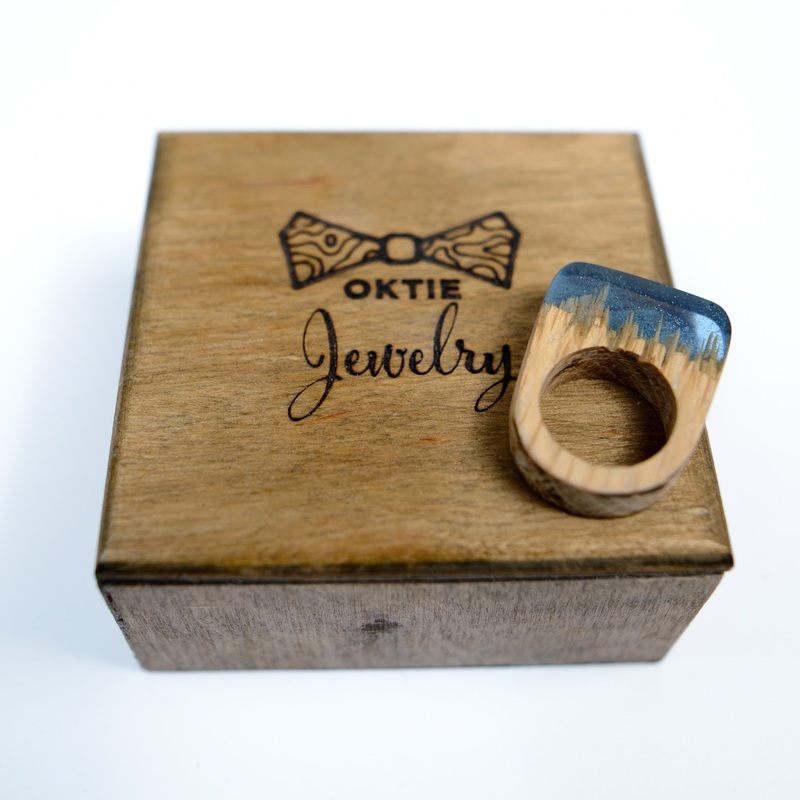 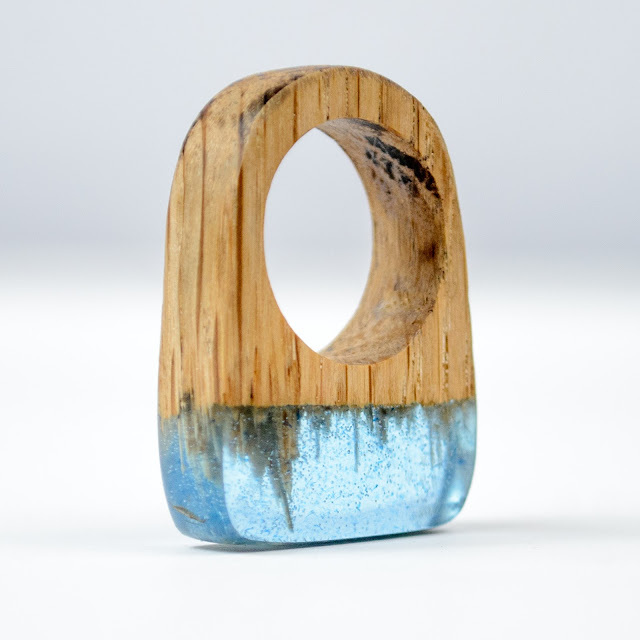 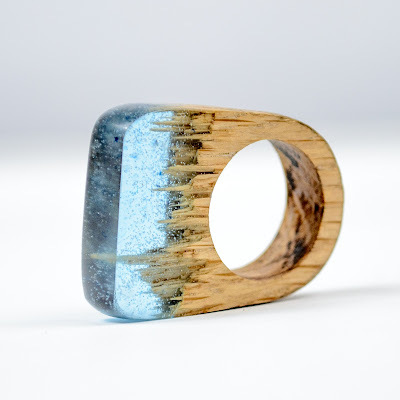 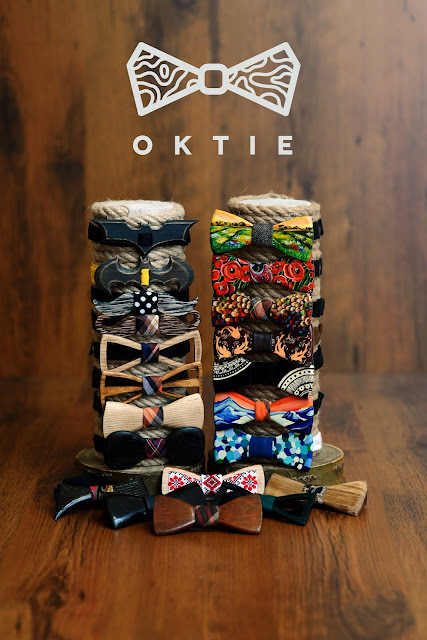 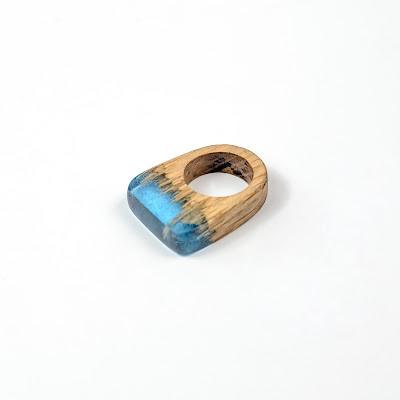 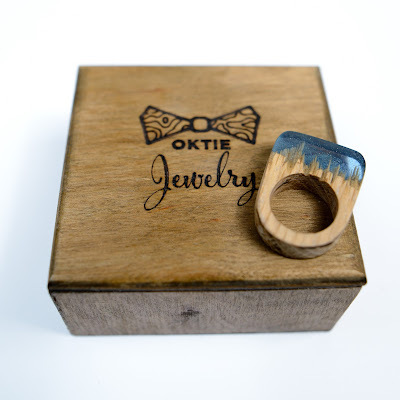 Lightweight made from white oak wood and blue colored resin is a perfect gift for girl.Ring comes in a wooden gift box as you can see on photos. 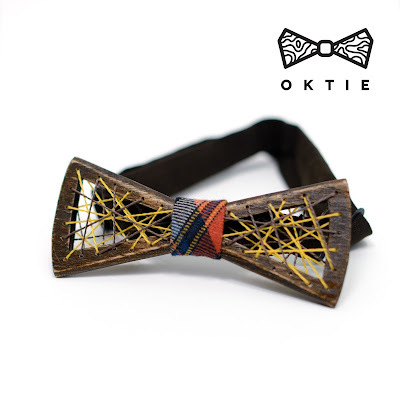 !!!NOTICE!! !We can made custom personal engraving on the box if you want it - absolutely FREEJust contact us when you making order.